 Industrial Clutch Parts Ltd. supply a complete range of KEB Magnet Technology Products. Our KEB product line includes the COMBIBOX clutch-brake combinations. KEB COMBIBOX Clutch-Brake Combination is an all round, ready to install clutch-brake module series for start/stop operations. Industrial Clutch Parts Ltd. holds stock of the KEB COMBIBOX Electromagnetic Clutch-Brake Combinations. Available in all sizes and models ready for immediate distribution. The KEB COMBIBOX has been manufactured for joining, separating and holding rotating shafts. Designed with a compact aluminium housing to provide an autonomous bearing that can be used between motor and gearing or for direct output of a machine function. The Electromagnetic Clutch-Brake Combination incorporates a patented system for adjustment and re-adjustments to enable tracking of the air gap for wear adjustment without dismantling. Thus giving a greater lifetime of the wear affected components. The flexible mounting in different versions makes it suitable for a range of applications. The backlash-free transmission and residual torque-free separation offers reliable and longer lasting performance.